Big tech companies like Apple, Microsoft, and Google are hoarding big cash piles. There are speculative reasons why these companies are not investing more in R&D or future technology, but as long as the cash goes unspent, shareholders will make noise to have the profits returned via dividends or share buybacks. Amazon doesn’t have this problem, because Amazon doesn’t turn a profit. It is terribly inefficient for a company to collect revenue, pay taxes, and then distribute the net income towards hiring or R&D. Amazon cuts out the intermediate steps by investing the revenue directly. By charging customers a price that’s barely above break-even, Amazon is effectively spending revenue to gain customer loyalty instead of channeling profits towards a marketing budget. 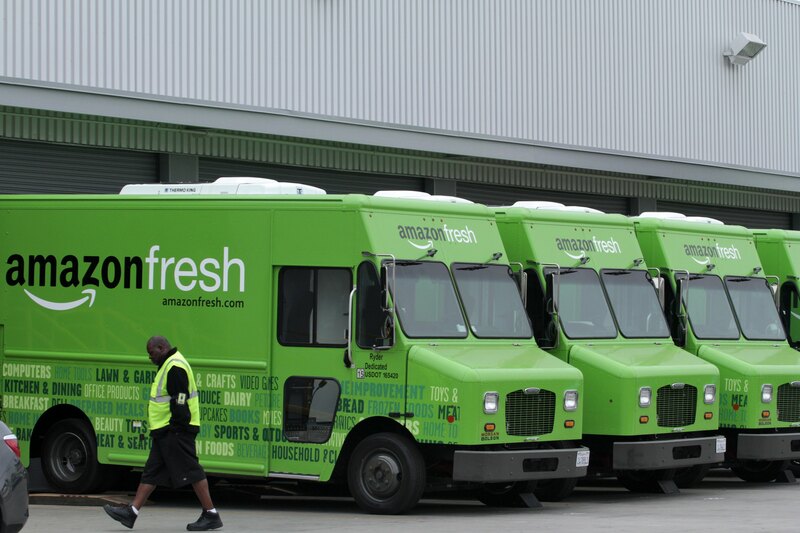 Amazon Fresh is operating at a loss. The profit margins on door-to-door grocery delivery are miniscule, but Amazon isn’t operating in the home grocer space to make money. It’s operating in this space to subsidize infrastructure development. Sure, Amazon Fresh could charge a huge premium, turn a profit, and then invest in building out infrastructure… but why not just barely break even, and gain both an infrastructure and customer loyalty? UPS currently handles most of Amazon’s last-mile deliveries, but UPS does not have ostensible grocery customers subsidizing its local infrastructure development. Amazon may be a non-profit company on paper, but only because it already invested hypothetical profits into customer commitment.